GTE Investment Group believes our teamwork approach adds a broader perspective to all we do and provides increased benefits to our clients. In addition, GTE Investment Group has two fully licensed Registered Service Assistants to provide support and handle all service matters. They are committed to ensuring that each client experiences excellent service in an efficient manner. Our experienced professionals have helped many people just like you with similar issues and concerns. We can help you create an approach that is designed to address your individual situation. We will help you understand exactly where you are, where you are headed, and how to get there. Tony’s career in the investments industry began in 1987. He has withstood the fluctuations in the economy and financial markets using sound financial advice and guidance. Tony develops a plan of action based upon his clients' individual needs and goals. 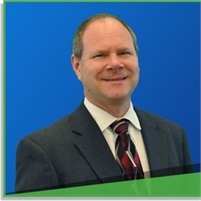 Tony has been supporting GTE Financial members since 2002 and holds a CERTIFIED FINANCIAL PLANNER™ certification. A graduate of Towson State University near Baltimore, Tony relocated to the Tampa Bay area in 1991. He enjoys travelling, cruising and running with his wife Sue, as well as playing golf and fishing with his son, T.J.
Tony & the GTE Investment Group are here to help you! To schedule a no cost, no obligation financial consultation with Tony Kowalski, call 813.414.6783 or email him at [email protected] and someone follow up with you. 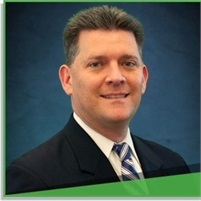 Joe began his career in the financial services industry in December of 2000. He credits his career success to developing and implementing long term buy and hold strategies that are tailored to a client’s needs and goals. Believing one is never too old to learn, Joe has furthered his financial acumen by achieving the Certified Financial Planner™, Chartered Life Underwriter, and Chartered Financial Consultant designations. Born in New Jersey, Joe moved to the Tampa area in 1985. He is a graduate of The University of Tampa, receiving his Bachelors of Science in Finance and Economics. He is a father of three, and a proud grandfather as well. He enjoys golfing and going to Disney with his wife Yvonne and the family. Joe & the GTE Investment Group are here to help you! To schedule a no cost, no obligation financial consultation with Joe Dellutri, call 813.414.6118 or email him at [email protected]. "Financial Planning for every person and their every need”—that’s the motto that Jorge follows. An advisor who has your best interests at heart; who believes that the most important part in the financial planning process is developing a high level of mutual trust. Working directly with clients as a financial planner for many years, Jorge developed a passion to empower all of his clients to live prosperous and secure lives. 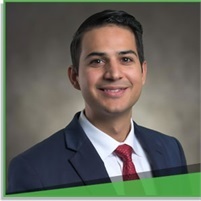 With nearly 10 years of experience in the financial services industry, Jorge is dedicated to educating individuals on topics such as personal finance, self-improvement, and the importance of financial literacy. In fact, Jorge is a CERTIFIED FINANCIAL PLANNER™ Practitioner and also holds the Chartered Financial Consultant® designation, with the commitment to financial lifelong learning. Born and raised in Cuba, Jorge moved to the Tampa area in 1998. He is a proud graduate from the University of South Florida, receiving a Bachelor’s of Science in Finance degree and Leadership Certification. He enjoys traveling, supporting the local arts, and a well-balanced healthy lifestyle with his family. Jorge & the GTE Investment Group are here to help you! To schedule a no cost, no obligation financial consultation with Jorge Soriano, call 813.414.6115 or email him at [email protected] and someone follow up with you. 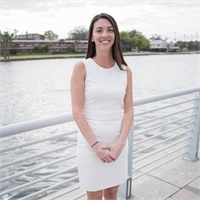 Lauren grew up in Massachusetts and relocated to Tampa in 2002 where she went on to graduate from University of Tampa. She enjoys travelling, dining out all around Tampa Bay, and going to the beach. Lauren & the GTE Investment Group are here to help you! Michelle has worked in Investment Services for 14 years. She earned her Master’s degree in Business Administration in 2008. In 2014 she relocated to Florida from Connecticut and has been with GTE ever since. Michelle is fully registered so can help assist with almost anything you might need to service your investment accounts or questions. 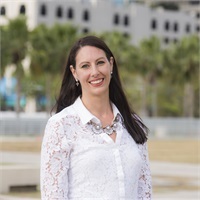 Throughout her career in Investment Services Michelle has worked for Webster Bank as a Registered Sales Assistant, Northwestern Mutual as an Associate Wealth Management Advisor, Merrill Lynch as a Financial Advisor, and Infinex Investments as an Operations Manager and Client Services Team Leader. In her spare time Michelle enjoys family fun days and traveling with her husband and two boys. Michelle & the GTE Investment Group are here to help you!